Koenigsegg Agera RS vs Bugatti Chiron! Direct Acceleration Comparison! - Muscle Cars Zone! 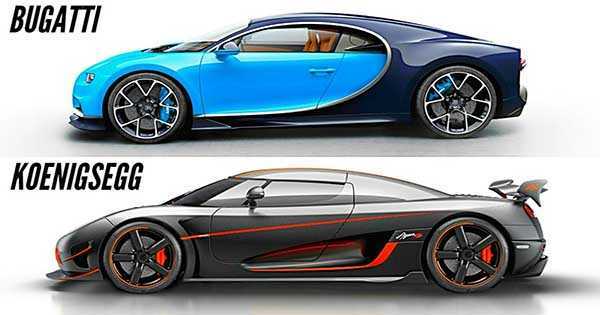 The Bugatti Chiron is definitely fast, however the Koenigsegg Agera RS makes the Chiron look plain bloated with this new acceleration record. Now, when it comes to mega hypercars like these, we are talking about a 0-249 mph record. Having said this, the 0-250 mph record should not be taken lightly. These monsters have the ability to perform a sprint from literally a dead stop in order to reach 249mph just to brake in order to go to 0 mph again. The previous record holder was the $3 million Chiron. However, this hypercar`s minute of fame was obliterated by the Agera RS. When the Chiron broke the record, Koenigsegg`s founder took it to heart and went on to beat the Chiron in its own game. At first, Koenigsegg originally planned to broke Chiron`s acceleration record at a racetrack in Germany. However, inclement weather had a say in this and they decided to take a 300 mile detour to southern Scandinavia. Even though the track had some safety concerns, Koenigsegg decided to use it nevertheless. The Agera RS managed to its monstrous 5L V8 to its limit, unleashing all 1160HP to the pavement. The car weighs less than 3100 pounds. The power and weight ratios certainly delivered some pretty interesting final numbers. All of this can be seen in the video below. Someone edited both of these clips in one in order to make a comparison video. The Koenigsegg Agera RS is driven by Niklas Lilja while the Chiron is driven by legendary F1 driver – Juan Pablo Montoya. Finally, visit Koenigsegg`s official website and read more about the Agera R!